I won’t keep you in suspense, I’m still pretty sick today. I’m only sick about every 3 hours, but it is still severe enough that I’m starting to feel the effects of dehydration. I did my googling and decided that it is best for me if I get started on an antibiotic as soon as possible so that I can try to shorten the duration of this infection. I called my family doctor who didn’t hesitate to call in some Cipro and a prescriptive low-motility drug to start when we return tomorrow (Sunday). From what I was told, if the persistent watery diarrhea continues for more than 24 hours, the body might need a little help. Otherwise, I could be suffering from this for up to 7 full days. As the saying goes, “Ain’t nobody got time for that!” Given my low blood pressure and low iron stores, I don’t feel good about allowing an infection that might weaken my system even more to continue any longer than necessary. A big shout out toe Healthlink Family Practice (and Dr. Linker’s on call partner) for working with me so quickly and kindly. Even though I don’t have time to get the medications here, they will be waiting for me tomorrow. There ar plenty of clinics here that I could have visited, but my roommate had an unusual experience with one last summer and I would prefer to work with my own doctors. As someone with lots of GI issues over the years, I don’t take strong antibiotics lightly. Bring on the probiotics! 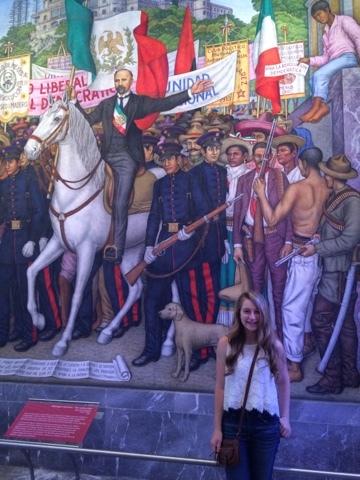 When the kids got up, we decided that we were “well enough” to spend our last day exploring the Chapultepec Park. Similar in size and in features to New York’s Central Park, Chapultepec Park is a wonderful place to spend a beautiful Saturday. There are open spaces, a castle, several museums, lakes, a free zoo, a carousel and much, much more. Once again, the weather was gorgeous. It has been every single day. Not a drop of rain. No clouds. Not too much wind. Just simply beautiful! 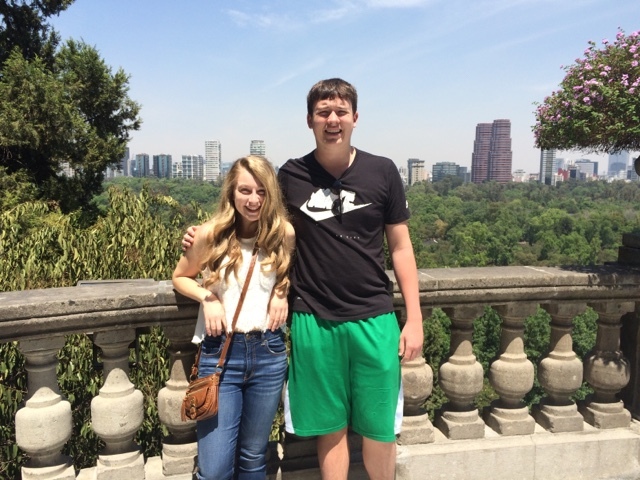 We started our visit to the park with a climb up to the Castillo de Chapultepec. This large castle sits atop a hill at the entrance of the park. It has been used for many different purposes over the years. It was once a military academy, a presidential palace and now a museum. The views from the balconies are spectacular. You can see all the way down Paseo de la Reforma. Mexico has a smog problem, but it’s not nearly as bad as it was in the 1990s. The views from the Castle were breathtaking. 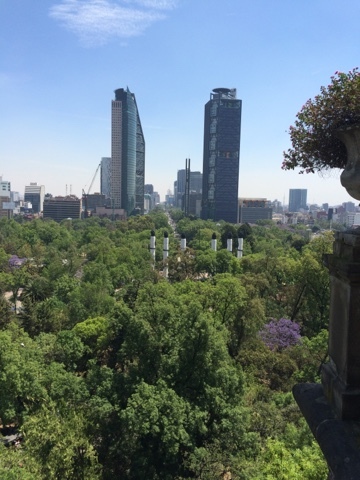 View of Paseo de la Reforma from the Castle balconies. Standing in history with a modern city in the background. There are murals inside the Castle by Orozco and O’Gorman. 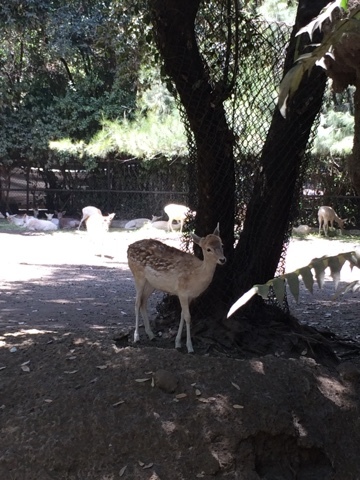 After the Castle, we walked through the park to the Chapultepec Zoo. 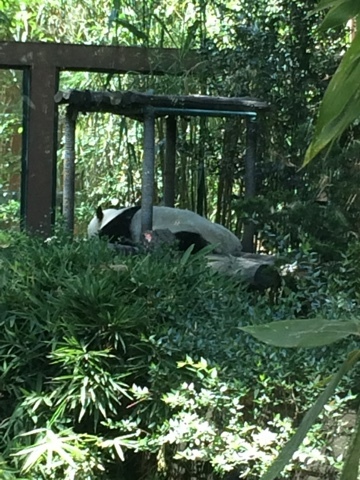 This free zoo is one of only a handful of zoos in the world that have Giant Pandas. If you look closely, you can see one of them in the second photo. The first photo is a Dama Dama (similar to a deer, but not found in the US). Of course, by this point, we were starved for some connectivity and refreshment. All three drinks were about 9 bucks at Starbucks. Things are definitely cheaper here in Mexico. 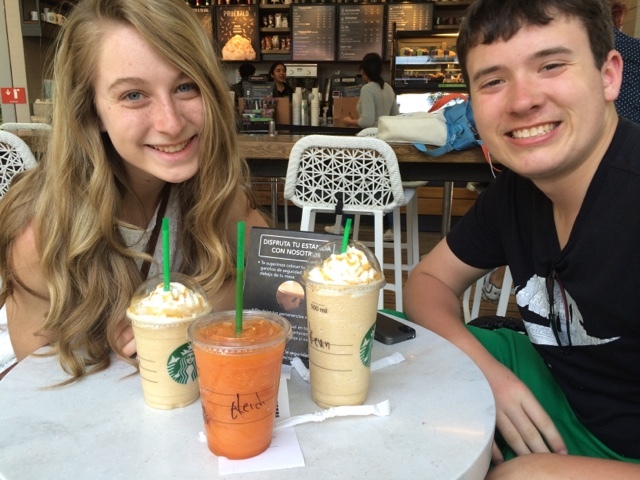 I had a mango maracuya which is a fruity iced drink that you can’t get at US Starbucks stores. 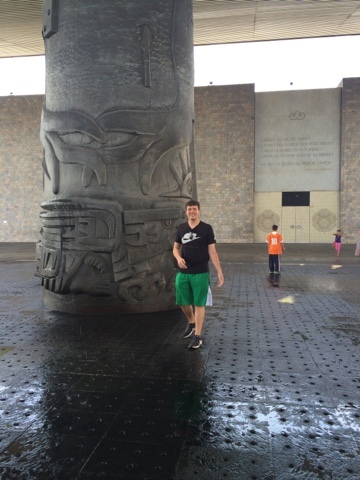 No trip to Mexico is complete without a visit to the National Museum of Anthropology. I didn’t think the kids would like it too much, but they surprised me. We spent about an hour wandering from region to region reading about the various tribes in pre-Columban Mexico. Kevin is enjoying the large fountain sculpture at the entrance. 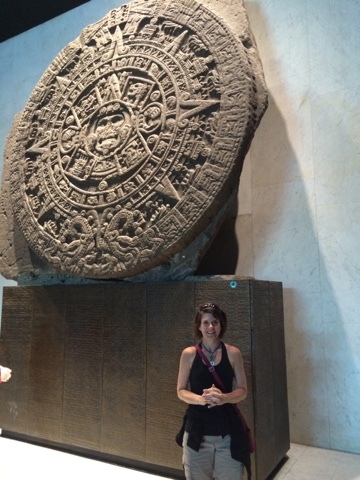 Everyone things that this large rock is the Aztec calendar, but it isn’t. It’s actually called the Piedra del Sol (rock of the sun) and was where Aztecs would have battles or stage sacrifices. It had days and times on it which has led many people to think that it was their calendar. Anthropologists now agree that it was not a calendar. It’s huge and heavy. It’s also a great place to take a photo! 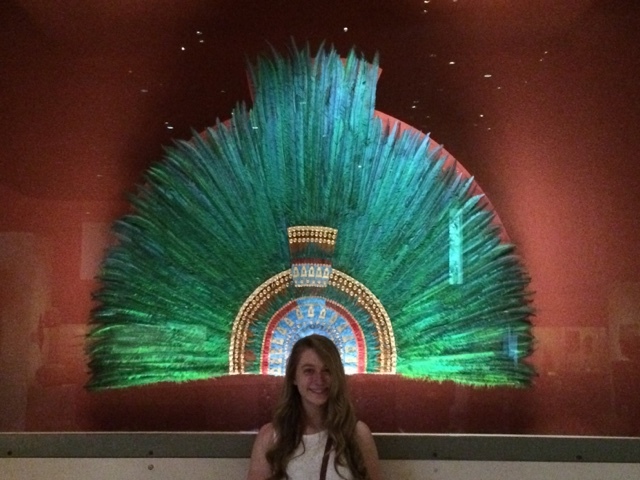 Trying on typical headdresses from the Teotihuacan era. 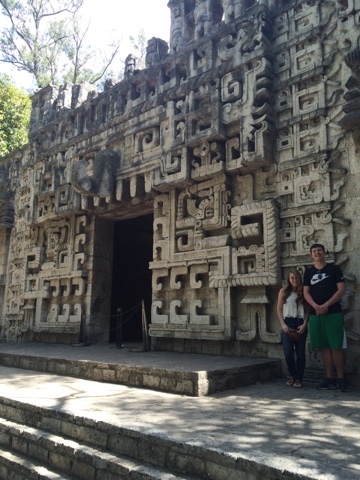 A trip across the country to see some Mayan ruin replications. After the museum, we walked to our main meal of the day in the Polanco neighborhood. 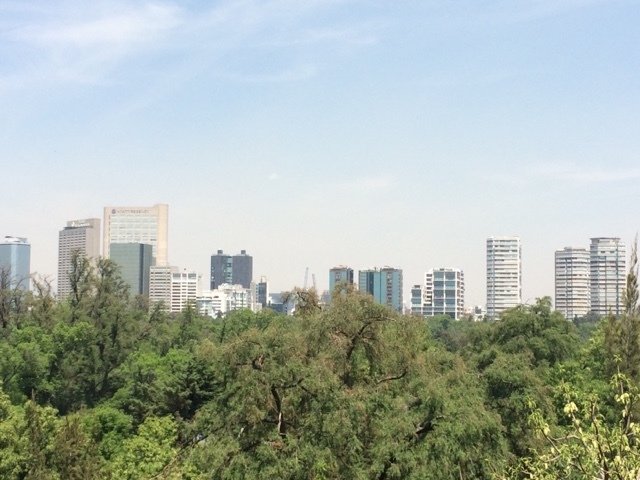 This is the most affluent neighborhood in Mexico City. There are world renowned restaurants, shops and hotels. We decided to return to Ojo de Agua for a second meal. We just couldn’t get enough of this modestly priced, whole food cafe. 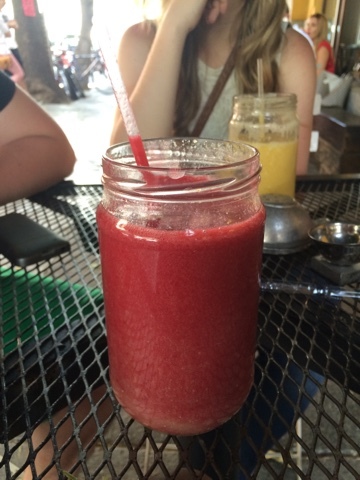 Today, I had the Strike which is a digestive cold-pressed fresh juice made with guayaba (aka guava) and plums. Anna had a Vita C (made with all fruits high in Vitamin C to fight colds). 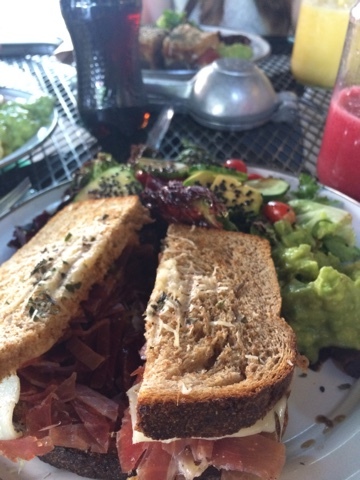 She and I both had a jamón serrano, cheese, fig, chipotle sandwich with the amazing side salad of lettuce, sesame seeds, cucumbers, tomatoes and avocado. Kevin had an organic burger that he admitted was pretty good. We also picked up some freshly cut jicama, mango and watermelon along with some amarinth granola to have for breakfast tomorrow morning at the airport. What a great restaurant! I can’t think of anything like it in the US, especially nothing as reasonably priced. We are back at the hotel for the night. We have lots of packing to do before our early flight in the morning. The time changes here tonight so we actually have to get up an hour earlier than we thought. Tomorrow will be an exhausting day of travel, but it will be good to be home with family. It’s been a great trip, sickness and all!